White Line Projects were commissioned by Roca to curate an exhibition in their London Gallery and Showroom, which took place between 01 July - 27 August 2016. 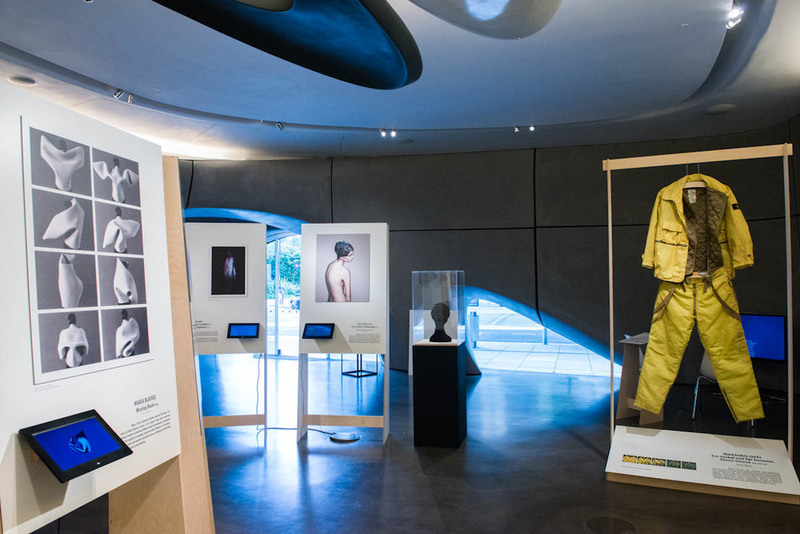 Taking the brand's ethos for sustainability and innovation as a starting point, WLP curated an exhibition exploring the theme of adaptability within fashion design. ‘Mode in Flux’ reveals ideas around adaptability in fashion being championed by emerging and established artists, designers, engineers and scientists, questioning issues of desirability, functionality and sustainability in clothing. The exhibition featured the ground-breaking work of: Chen Peng, Eunjeong Jeon, Grado Zero Espace, Hussein Chalayan, Issey Miyake, Lucy McRae, Maharishi, Maria Blaisse, Mason Jung, Massimo Osti, Michiko Koshino, NikeLab X Sacai, Royal College of Art, T H EU N S E E N and Ying Gao. White Line Projects worked with design studio Mentsen to create the exhibition with the idea of adaptability, fluidity and lightness. Physical garments were interspersed with a range of media including photography and film. The display was accompanied by a microsite where more information about the exhibition can be found. QR codes were used within the exhibition to link the physical exhibition to online films embedded within the microsite; communicating the garments and ideas in motion. All photography courtesy of Susan Smart.